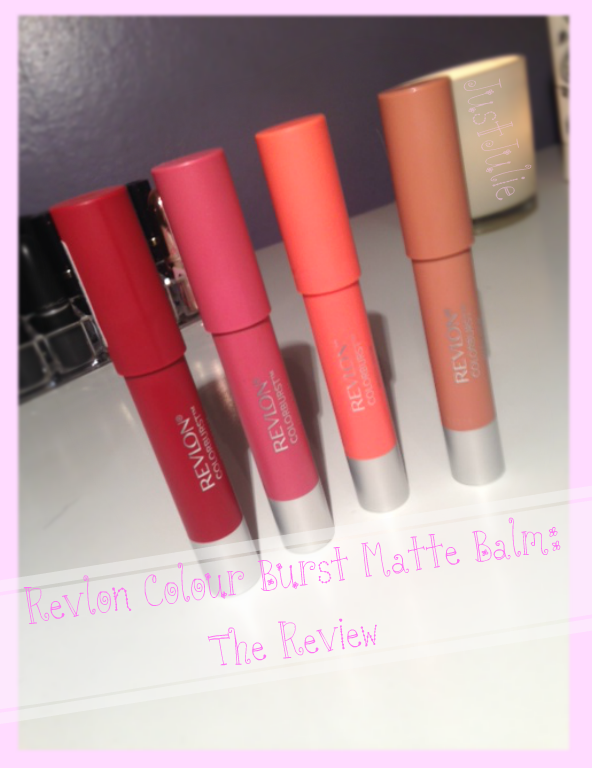 Revlon ColourBurst Matte Balm: The Review! The other week I had a huge drugstore haul and bought one of the Revlon Colour Burst Matte Balm crayons and fell in love with it straight away! I originally bought the colour 'Elusive' you can see my haul and my first impressions of it HERE I then went back to buy a few more shades and seeing as Revlon was on 3 for 2 in my local Boots store, of course I had to buy three more! I've never really been a huge Revlon fan but recently I've been eyeing up their lip products and finally gave in the other week with the purchase of Elusive. I'm also not the biggest Matte lipstick fan, although I have a few in my collection, they just tend to dry my lips out and in this weather my lips needs so much moisturising that wearing a matte lip can screw up my lips up for days! 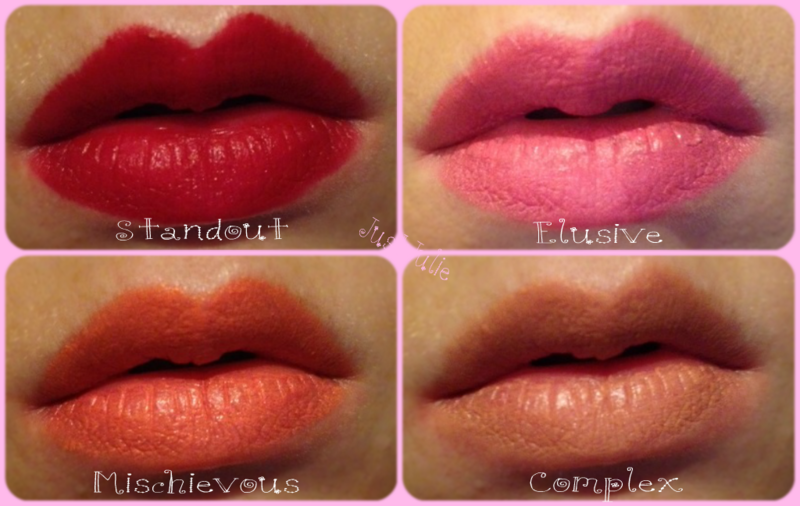 The pigmentation on all except Complex is good, especially Standout which is a gorgeous red with a blue undertone. I didn't think I was going to love this colour but once I had it on my lips it took my heart! It's my favourite out of them all! Elusive is my go to neutral pink lipstick when I just want to throw a pop of colour on my lips without the fear of looking like Barbie, well Barbies mum! Mischievous is a lovely muted coral colour. It's not as opaque as I would have liked though but it's still nice. Now with Complex the colour to me resembles death. It's just awful and does nothing for me at all. It's nothingness to the max! I mean I'm sitting here wondering what the point is in this colour???? I just look dead with it on!!!!! Anyway aside from the god awful Complex I like the other three colours, especially Standout. The pigmentation, staying power, ease of application and non-dryness ticks all my boxes, so will be buying a few more shades soon! You can pick the Revlon ColourBurst Matte Balm from your local Boots for £7.99 each or at the moment they have a 3 for 2 offer going on. Has anyone else tried these yet? What are your thoughts? 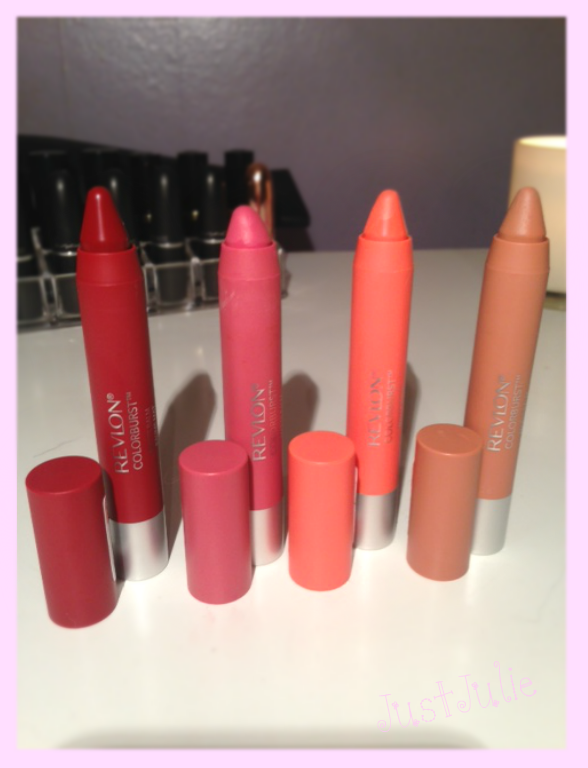 Or thoughts on the chubby lip crayons out at the moment?